In the most explicit effort to grow the clinical footprint and increase the impact on the populations that they serve, the Medical College of Wisconsin has opened a 310,000-square-foot professional office building, the "Hub for Collaborative Medicine," on the campus of Milwaukee Regional Medical Center that serves as a physical and symbolic bridge joining the clinical, academic, and research missions of MCW. 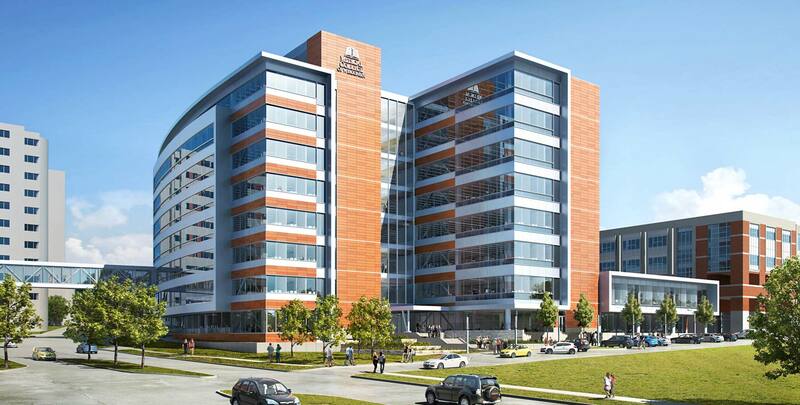 With this building, the college and its primary teaching affiliate are better able to attract and retain the best students, faculty, and staff, as well as enhance patient access and care delivery on the MRMC campus. 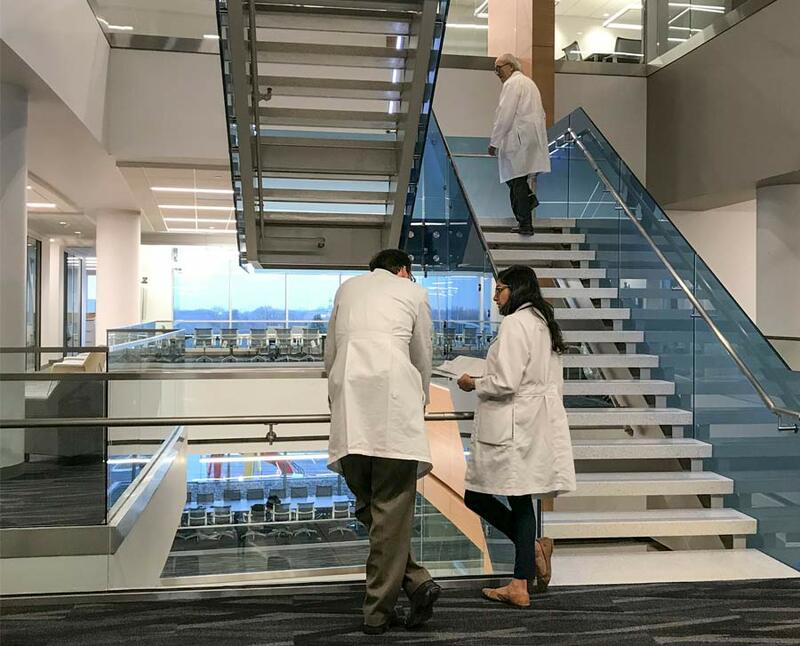 The new structure helps achieve MCW's other objectives, as well — bringing clinicians together for clinical, research, educational, and community engagement endeavors; creating a modern workplace fostering innovation, collaboration, and collegiality; and supporting clinical growth while preserving space for future expansion on the MRMC campus. It is physically connected to the existing Medical Education and Health Research Center buildings to the north at multiple levels, and connected to the Wisconsin Diagnostic Laboratory Building to the south by an enclosed elevated skywalk over Connell Avenue. 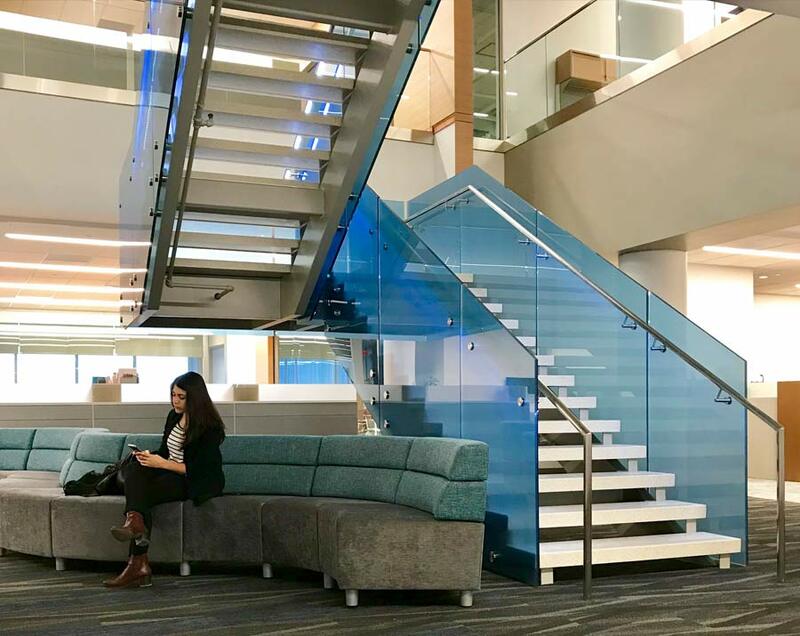 The Hub for Collaborative Medicine creates efficiencies through its proximity and adjacencies; provides flexible workspaces and shared resources among departments and programs; and incorporates technology that connects staff and faculty. Consisting of enclosed offices, modular workstations, conferencing space, break areas, and informal collaboration spaces, the eight-story building allows more than 1,400 physicians, nurse practitioners, researchers and healthcare staff to be relocated into one dedicated central workplace, freeing up clinical space within the hospital. Its floor plan is marked by consistency to allow for flexibility as different groups expand or reduce over time or as administrators see opportunities to shift certain groups to work more closely together. At the same time, it is designed to encourage innovation and collaboration, featuring openings and interaction areas between floors (around which are located common support functions), open interaction stairs, and shared conference rooms and break areas, organized to create desired crossing of interdisciplinary paths. Other notable components of the plan are a two-story portion that houses administrative offices for MCW's leadership team and connects directly to the school's academic leadership suite in the existing building, and a ground-floor innovation hub to encourage the display and dialogue around different groups' work.